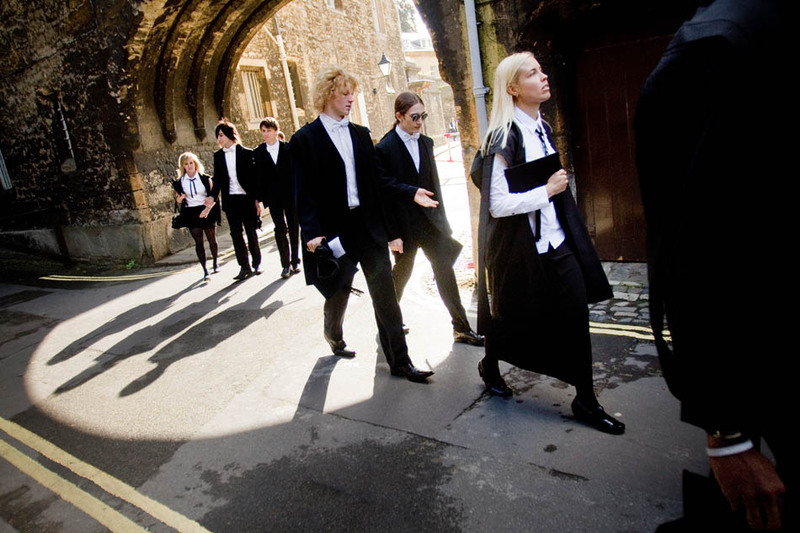 Angela is officially a student at Oxford after participating in the matriculation Saturday. It was quite cool today, and I had to stand outside while she was crammed into the Examination Schools like a sardine. Apparently the guy beside her kept her in stitches by making snide comments about the process. "This is sooo stuuupid," he kept saying. Just imagine this audibly with a posh English accent. Regardless, Angela enjoyed the event and felt pretty special being there. We're pretty lucky to be here at all, that's for sure. Quite the place. This post dedicated to Sharlene Kapp. Dedicated to Lea James, who will be attending the Port Franks Camera Club meeting tonight, I'm sure. This is the Radcliffe Camera, a library that houses English Literature and other books. 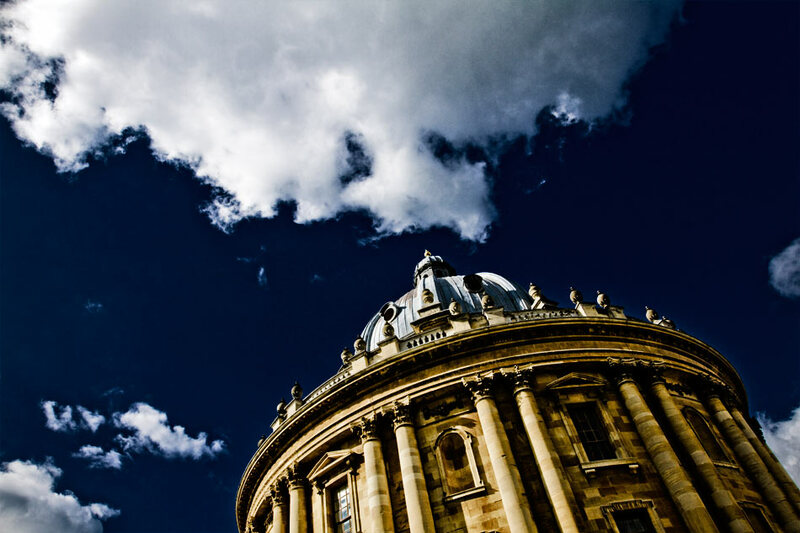 Here's a great video about Oxford (look for Oxford Today), and the Radcliffe Camera is discussed as part of the Bodleian Library at 15:42. It's also the site of some scenes from The Golden Compass. 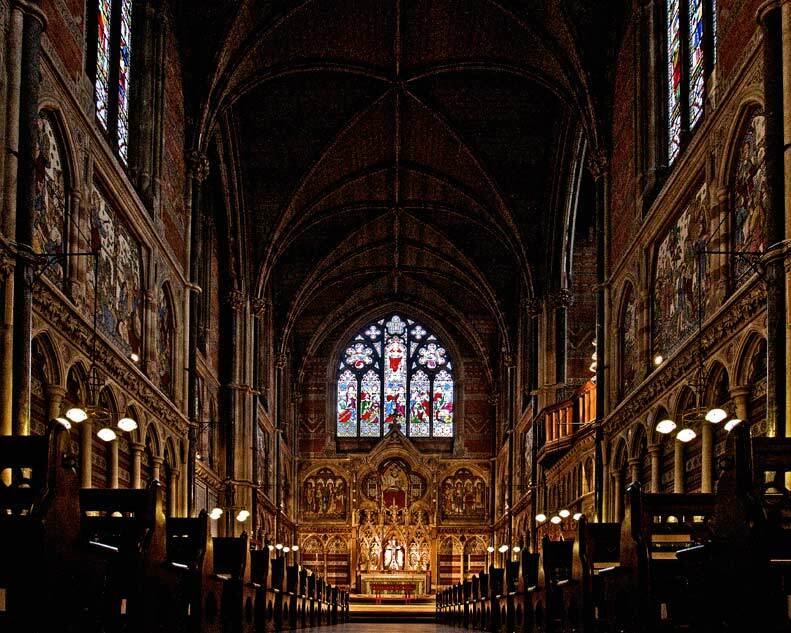 Oxford, England - Keble College Chapel. Dedicated to "A Former Student", who responded to my survey. Keble College was the first college I visited when I came to Oxford last week, and it's a beauty. That said, it's much different than the other colleges in terms of its architecture; it was very controversial for its break from tradition when it was built. It was once considered by those in Oxford "the ugliest building in the world". The chapel, however, is a huge attraction because it houses a famous painting called The Light of the World by William Holman Hunt, also the source of some controversy. According to my tour leader, when he discovered that the college was charging to see the painting (he himself was asked to buy a ticket), he was so furious that he painted another, bigger version that now hangs at St. Paul's Cathedral in London. I can't find a source to verify this story (some say he believed the college was hiding it from the public), so don't take it as the final word. 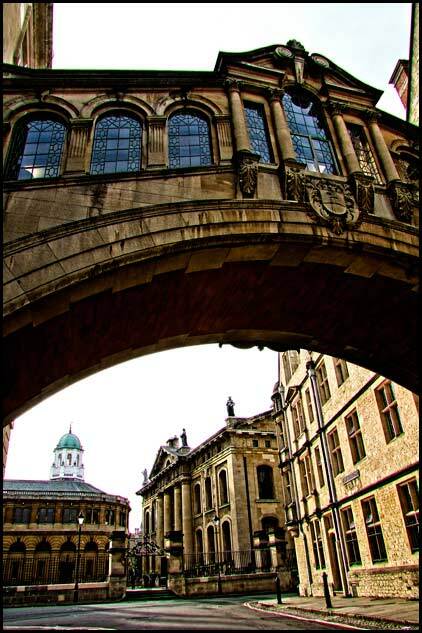 The Bridge of Sighs at Hertford College, with the Sheldonian Theatre and Museum of the History of Science in the background. Dedicated to Karen Brown, who wanted to see some architecture. 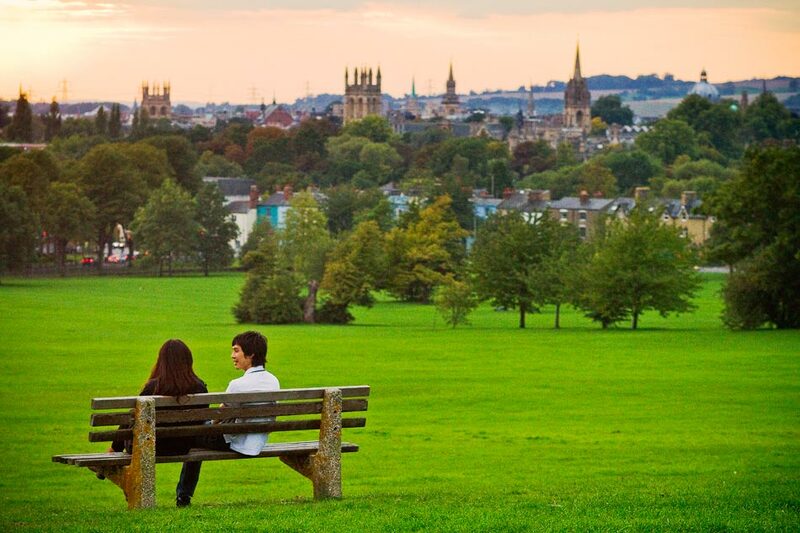 Oxford, England - The Oxford skyline from South Park. This is the iconic view of Oxford's skyline. Charlee and his friend live nearby, and he never has his camera when he comes to this park, so he asked me to send him a photo. It's just a few minutes walk from where I'm staying, but in the opposite direction from the city centre. Dedicated to Isaac Moore, who responded to my survey a while ago. 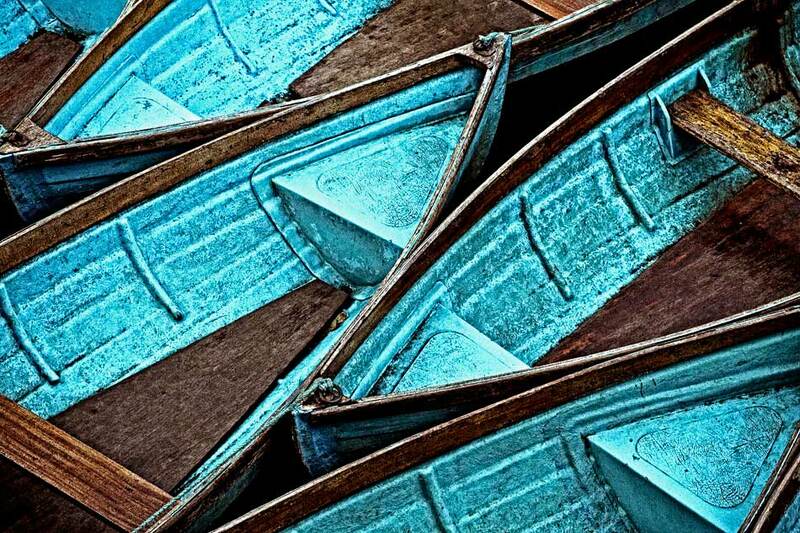 Oxford, England - Punts on the Cherwell River. I'm staying at a Magdalen College residence above the Cherwell River, which I can see from my window. These punts are across the river, just below Magdalen College's main building, but sometimes they can be seen from my window as well.